They say life is cyclical and History repeats itself. In pop culture; music & fashion, we see it all the time (why I’m wearing fluorescent spandex and a scrunchy as I type this message!) With the surge in popularity of podcasts, younger generations are starting to get an understanding, even though they might not realize it, of what was so dang nifty about the radio. Last Monday, some students in my year at Humber put on a Live Radio Show at Comedy Bar. It seems weird to say that because we weren’t actually live on the radio. We were performing live in front of a (sparsely attended) audience and simultaneously being recorded for a program that will hopefully be aired on Sirius XM Satellite radio, eventually. The whole idea for the event was that of my sketch teacher, Robin Duke. 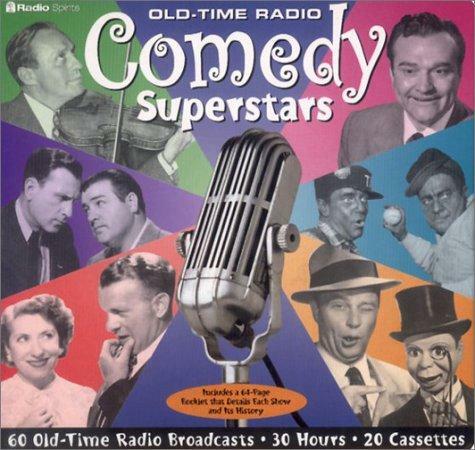 It was both an assignment on learning about the history of comedy and its origins on the radio (Air Farce started on the radio. Did you know that?) as well as learning how to write sketch for a medium other than stage or video. On the other hand, the whole radio play ordeal showed me a lot about the importance of adaptability. Some of you may know that I work part time at the Career Centre at Humber College, helping people better their resumes in order to try to land a decent job… or at least, an interview. Adaptability is a skill that is almost always sought by employers, and a really good skill to have at work, or in life. Here we are: the scripts have been selected for the performance, the date has been chosen and all that’s left are edits and rehearsals. And lo, the teacher catches pneumonia and has to take a few days off work. As a result, communications get a little more complicated and people begin to panic. “I don’t know when to be where. I didn’t get an e-mail about this or that. I don’t know what to do for this. I didn’t bother editing this because I didn’t hear about that.” Mass chaos. What an amazing way to look at the situation! I feel like there are two routes you can go. You can get frustrated and pissed off and complain about how much of a mess you think everything is, OR you can just go with it, accept that life isn’t always carefully planned out and make the best out of the situation. Which one do you suppose is most helpful and beneficial to the project at hand?